Opened in 1995, Sam Diego’s is located directly on Main Street in “America’s Hometown”, Plymouth, Massachusetts, in the historic Station One Firehouse, just “A Block from the Rock”. Independently owned, our Mexican Cookery & Bar offers an outdoor patio, and an interior of old brick wall and beautiful Mahogany woodwork featuring a staircase leading to a second floor level. We offer award-winning Mexican and Tex-Mex selections, Southwestern specialties, Bar-be-Que, Salads, SAMwiches and SAMburgers. Plus, we offer a big “Young Juan’s” menu for the kids. 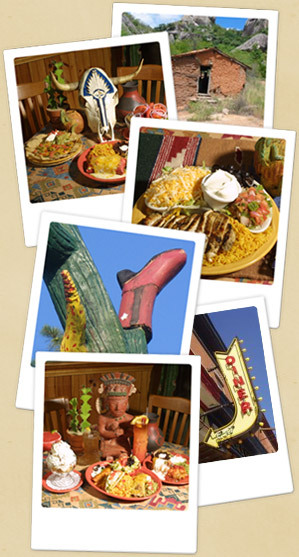 It’s Plymouth’s favorite place to always find “Food, Fun & Fiesta”. Cookery open Daily from 11:30 A.M. to Midnight, year-round. Bar & Lounge open until 1 A.M.